Hollywood, CA. 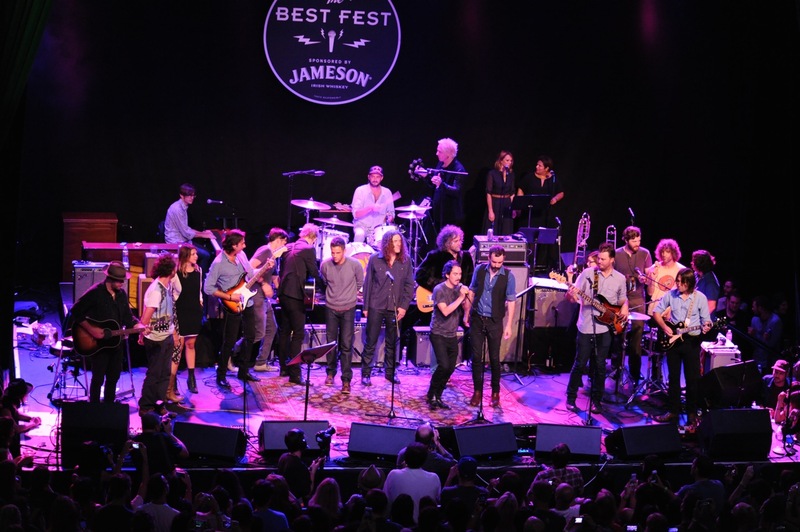 On Sunday night the first annual George (Harrison) Fest went into the books at the Fonda Theater. There was so much interest in this show, a benefit for the Sweet Relief charity for needy musicians, that it was moved from the El Rey Theater to the larger Fonda Theater. The stately old place was sold out and packed by the time the music began about 40 minutes late. 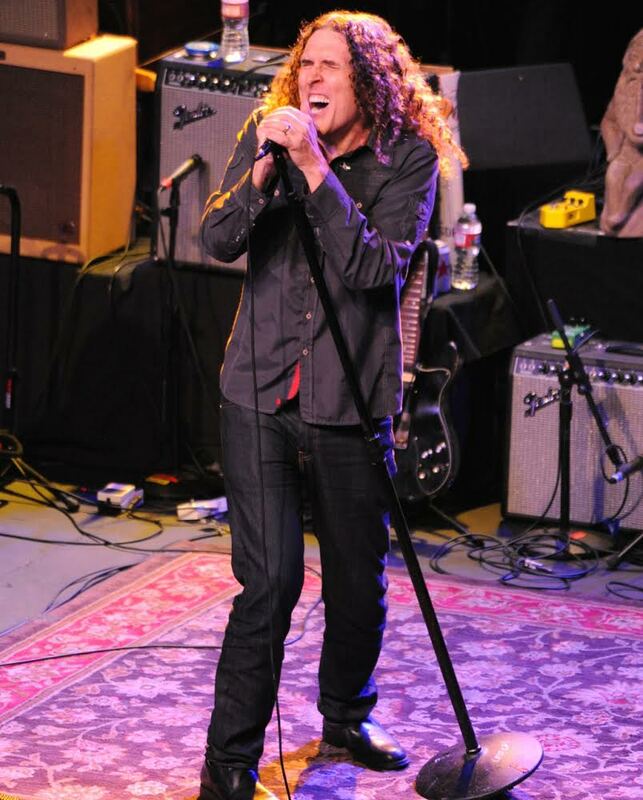 But it was a very satisfying night of tunes for all who gathered — All things George, solo or Beatles. The format of the night was for the Cabin Down Below Band to serve as the house band, with “a lot of moving parts,” to shepherd the evening along as guests passed onto and off of the stage, as on a carousel, for the better part of two and a half hours. The band and the stage crew did yeoman’s work to this end. 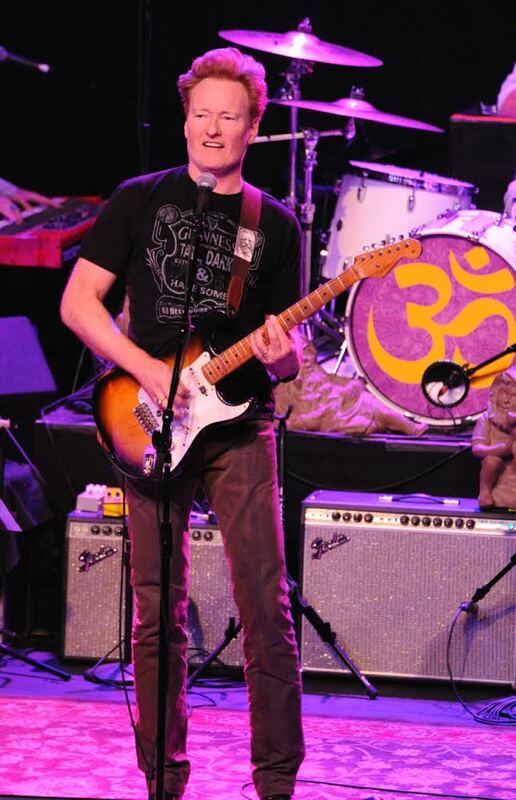 Keyboards, guitars, and pedal boards were shuttled on and off stage as quickly as the performers. Amazingly, for all of this activity, things cruised along at a nice, crisp pace, with very little empty space between songs. George’s musical catalogue was on display in a way that folks like myself had perhaps always hoped for but never gotten from him live. He rarely toured and didn’t play all of his below-the-surface gems when he did. And this material is the difference maker with him. Specifically, the performers mined the too-often-ignored mother lode of the All Things Must Pass album. It’s an album loaded with gorgeous musical ideas. Making the cut on Sunday were, “Awaiting on You All,” “Isn’t it a Pity?” “If Not For You,” “I’d Have You Anytime,” “What Is Life?” “Let It Down,” “Ballad of Sir Frankie Crisp,” “Wah Wah,” “Behind That Locked Door,” “Beware of Darkness,” “My Sweet Lord,” and “All Things Must Pass.” I hadn’t thought I’d hear anyone do most of these tunes live any time soon. But we were all very happily surprised to have it happen. 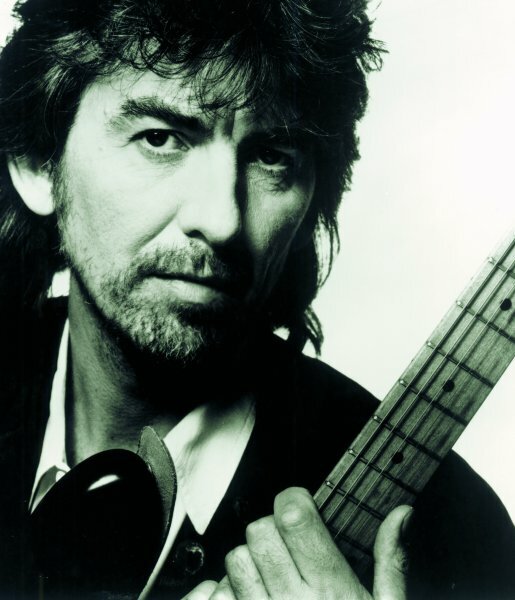 One of George’s signature sounds, as a solo artist, and particularly on All Things Must Pass, was his harmonized slide guitar work. It was an impressive bit of planning, practicing, and execution done by the Cabin Below boys to get those slide parts nailed in unison. It definitely took the songs over the top to where they could jump out and grab us. Throughout the evening many of the most memorable and elusive sounds in all of these songs were delightfully included in the arrangements. Sunday was one of those rare opportunities to see an intriguing and diverse list of performers take on a super-savory batch of tunes. The matchups we saw just don’t happen too often. They all turned in memorable performances. There was Perry Farrell of Jane’s Addiction singing “Here Comes the Sun,” with Norah Jones and Karen Elson. Where else do you get to see that? We also heard a very sweet take on George’s treatment of Dylan’s “If Not For You,” by Erika Wennerstrom of Heartless Bastards. Ben Harper took “Give Me Love (Peace on Earth),” to another level vocally and instrumentally. And the match of Norah Jones to “Behind That Locked Door,” was a keeper. Remarkable, really. 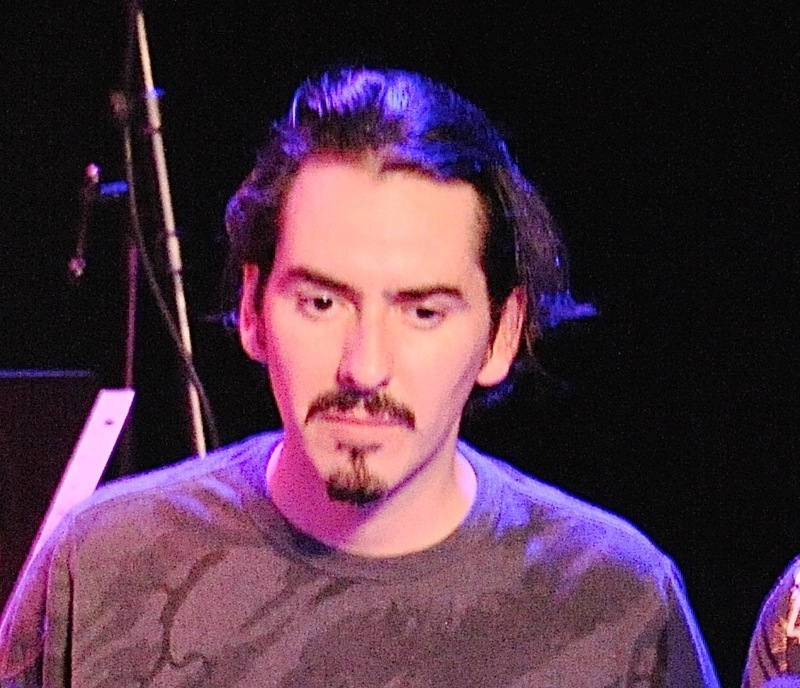 The most direct connection to all of this was George’s son, Dhani Harrison, who sang a great “Let It Down,” and handled “Savoy Truffle,” with style. In the second half of the show we saw a lot of Dhani. He sang “Got My Mind Set On You,” with Brandon Flowers of The Killers, to the frenzied delight of many of the ladies in the crowd. Dhani stuck around for the closing numbers. 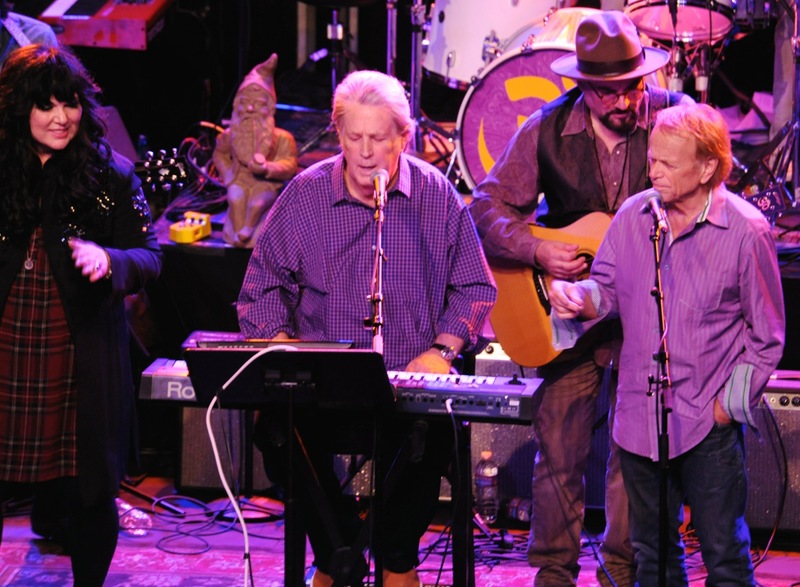 The final three songs were “My Sweet Lord,” with Brian Wilson, “Handle with Care,” featuring a stage full of musicians easily 20 strong, and “All Things Must Pass,” sung beautifully in tandem by Ann Wilson, Nora Jones, and Dhani. When it was all said and done we had gone the distance on a long but thoroughly fun and entertaining show. Despite the large number of top shelf performances, the unmistakable star of the show was George Harrison’s musical body of work. His songs are clearly timeless and it’s gratifying and inspiring to see so many talented young musicians embrace the music the way they do. They did make the songs shine on Sunday night. 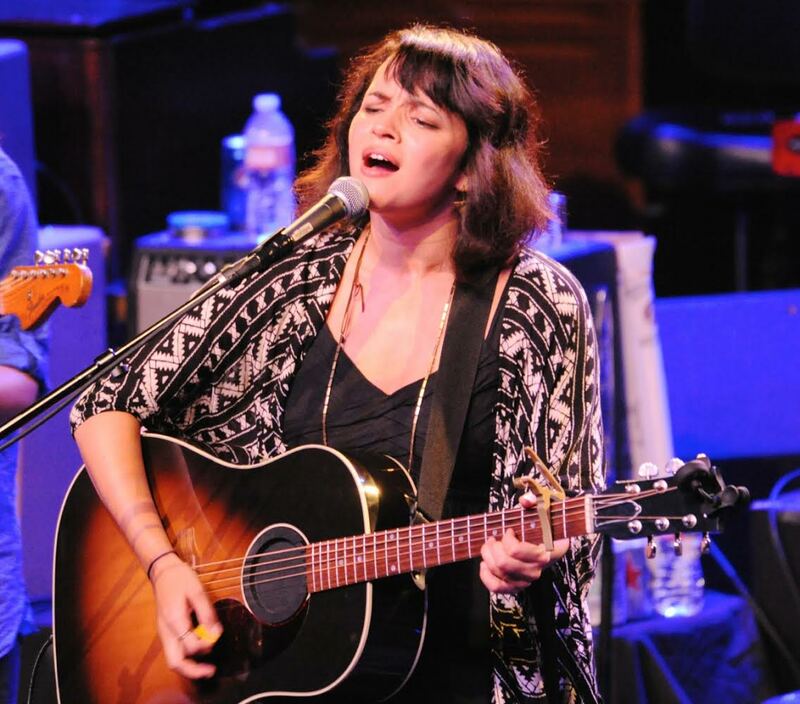 Photo journalist Bonnie Perkinson took the photos of Ann Wilson, Brian Wilson, Jimmy Vivino, Al Jardine, Conan O’Brien, Weird Al Yankovic, Norah Jones, Dhani Harrison and the full cast of George Fest.